Our Estate Blend is entirely comprised of 40-year-old own-rooted Pinot Noir from our estate vineyard. The generous palate shows off the deep concentration of old vines and the 2015 growing season. 92 points, Wine Enthusiast. 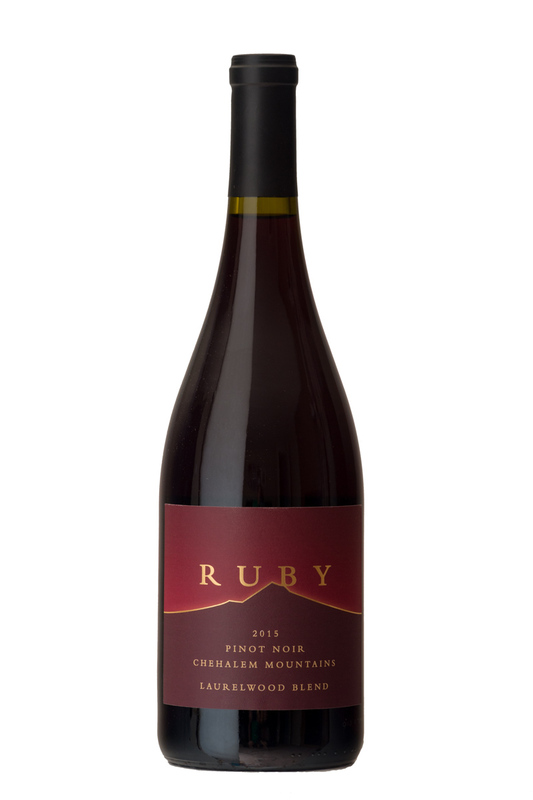 Grown on unique Laurelwood soil deposited over many millennia, this Pinot Noir consists of Dijon 777, 828, 115, and Pommard grapes farmed on the Ruby Vineyard estate and neighboring vineyards up to 750 feet elevation. Double gold medal, San Francisco Chronicle Wine Competition. Old vine Pinot Noir and Chardonnay in the heart of the Chehalem Mountains. Visit our welcoming tasting room, just 30 minutes from Portland, Wednesday through Sunday, 11 am to 5 pm. Our wine club members receive complimentary tastings, discounted prices on all wine purchases, special winemaker selection releases, and admission to public events, as well as exclusive wine club events.